To ensure optimal security, this website will soon be unavailable on this browser. Please upgrade your browser to allow continued use of ACP websites. Forget your username or password? Interested in becoming a Fellow? ACP offers a number of resources to help members make sense of the MOC requirements and earn points. The most comprehensive meeting in Internal Medicine. Prepare for the Certification and Maintenance of Certification (MOC) Exam with an ACP review course. Treating a patient? Researching a topic? Get answers now. Ensure payment and avoid policy violations. Plus, new resources to help you navigate the Medicare Access and CHIP Reauthorization Act of 2015 (MACRA). Access helpful forms developed by a variety of sources for patient charts, logs, information sheets, office signs, and use by practice administration. 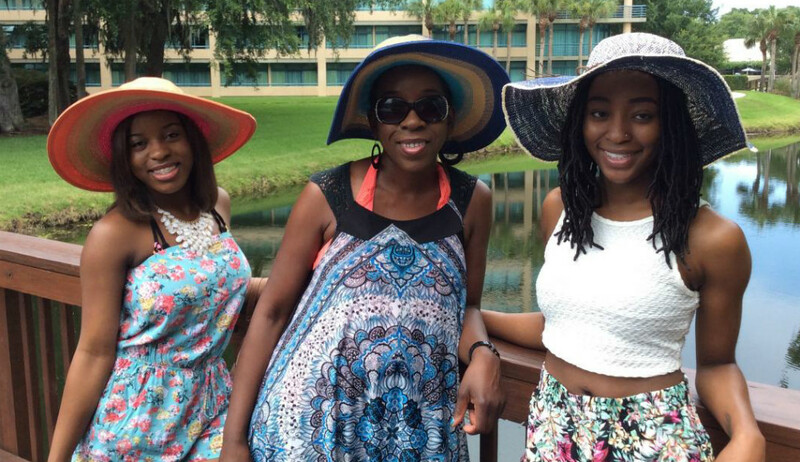 Dr. Frances E. Ferguson, MD, FACP, with her two daughters, Brittany and Briyanna. Dr. Hagalyn Seay Wilson was the first female African-American physician to ever practice in Montgomery, Ala. She was in private practice for 44 years, caring for many of that city's poor and uninsured patients. Dr. Wilson was also the mother of six children, and wherever she saw patients, chances were that her own children were close by. “Most days after school, we were at her office, waiting for her to finish seeing patients, or we were going on house calls or sitting at nursing homes or hospitals or somewhere,” recalls her daughter, Dr. Frances Ferguson. “I grew up seeing that kind of practice, someone who was very much into primary care, seeing people from the cradle to the grave. I got to see and experience that through her eyes. That's the only kind of medicine I knew,” she says. So it makes sense that Dr. Ferguson now cares for the underserved in and around Albany, Ga., as a physician with Albany Area Primary Health Care (AAPHC), which has 28 sites in seven counties in middle and southern Georgia. Dr. Ferguson works at several of AAPHC's outlying clinics. She visits patients in Baker County, in the southwest corner of the state, as well as Dooly County, which is closer to the middle of the state. She's on the road daily, driving more than 300 miles a week between clinics in her 13-year-old Honda Pilot with more than 367,000 miles on the odometer. Primary care was what I wanted to do because you can make such a difference in people's lives. I felt that if you changed one person's life or future in the family, you've changed the whole family. AAPHC was started by Dr. James Hotz, an ACP Master. Dr. Hotz and his brother-in-law came to the Deep South 35 years ago to pay back a public health scholarship. If that sounds familiar, it might be because the book Doc Hollywood and film of the same name were written about him, Dr. Ferguson says. The book follows his real-life journey, while the movie, which starred Michael J. Fox, changed things a bit, she says. The practice was built from nothing and now has internal medicine, family medicine, pediatrics, OB/GYN, dentistry, podiatry, optometry, and behavioral health. “We have the rural-based model for an HIV clinic. We just opened our pharmacy. We're pretty much one-stop shopping. We don't have subspecialties like orthopedics and rheumatology and endocrinology, but in terms of primary care, we have just about everything our patients need,” she said. The job was everything she had been looking for. “It's a rural-based clinic, primarily minority patients, underserved, and undereducated patients. They were doing a lot of good things for people. They had a sliding-scale program for people to pay according to their ability. [The CEO] didn't know it at the time, but I would have come regardless of what they offered. I was sold that day on the phone,” Dr. Ferguson recalls. I value the mentorship I've gotten from ACP... It's a great place to learn and develop. There are people who mold you and help move you into the best directions for your career. “Primary care was what I wanted to do because you can make such a difference in people's lives. I felt that if you changed one person's life or future in the family, you've changed the whole family. If you had a mother in a family who had high blood pressure and you got it under control, you got her eating right and understanding her disease, you prevented her from having a heart attack or a stroke and dying, you've saved the whole family,” she explains. Dr. Ferguson stayed in Georgia for 4½ years but decided to move on to provide more opportunities for her daughters. In the interim, she got a master's degree in Public Health from the Rollins School of Public Health at Emory University, and ultimately ended up at the National Institutes of Health in Bethesda, Maryland. She had no clinical responsibilities in this position. While she's been a difference-maker for patients, ACP has made a difference in her career. “I value the mentorship I've gotten from ACP. Just sitting at the table with these great people, these Masters and Fellows; I'm just so awestruck by all of them. It's a great place to learn and develop. There are people who mold you and help move you into the best directions for your career. They see things that are in you and help to bring those things out,” she explains. One of her favorite projects with ACP has been “I Raise the Rates,” an effort funded by the Centers for Disease Control and Prevention to increase the rates of immunization among adults. “We increased our rates from 20 percent to more than 80 and 90 percent throughout our adult medicine clinics,” she says of the program. Dr. Ferguson says there's a misconception that minority patients don't want to be immunized. “We have shown that absolutely is not the case. Minorities are willing to be immunized, just like everybody else. You just have to take the time to discuss it with them. The patients know and trust the nurses, and in turn, the nurses know the patients and their families. Without ACP's efforts, this would have never happened,” she says. She's spread the word about the project's success by speaking at multiple meetings. “That project has opened an incredible number of doors. And it's improved the health care of our patients,” she says. If you are genuinely dedicated to making a difference in people's lives and a difference in the overall health outcomes in this country, then internal medicine is what you want to do. When she was struggling with her career path as a resident, she stumbled across a TV report featuring Dr. Dean Edell, who had syndicated health reports televised in more than 100 markets around the country. She calls Dr. Edell her first idol. Dr. Ferguson is looking to expand her reach to educate people about their health. “I'm very involved in my church. I'm trying to head up a health ministry.” In addition to all her medical endeavors, she makes time for her family, and travel is her other passion. “I've traveled all over the world with my daughters (Brittany, 28, and Briyanna, 23). That's probably the most relaxing and exciting thing I like to do. We went to China and that was very exciting. Aruba was a little more relaxing and laid back and we just had a great time. I've not yet gone to the continent of Africa, and that's next on my bucket list. There is a passion that exudes from Dr. Ferguson about what she does, and who she is. She is on fire to make a difference for the people she serves on a daily basis in her rural communities, but also in the broad way she speaks about it, through education. She may have had a strong mentor in her mother on what medicine was, but she is paving her own trail for others now.